Diane Duane is the New York Times bestselling author of the Young Wizards series, which received the prestigious Anne Spencer Lindbergh Prize in Children's Literature. She's also written books in the Star Trek, Tom Clancy's Net Force, Spider-Man, and X-Men universes. 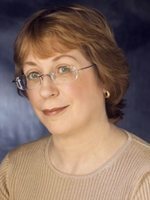 In addition to writing scripts for live-action and animated TV series and working in comics and computer games, Diane has written close to 50 books. She was nominated two years in a row for the World Science Fiction Society's John W. Campbell Award for best new science fiction/fantasy writer and has received numerous awards from the American Library Association and the New York Public Library. She lives in Ireland with her husband, Peter Morwood.